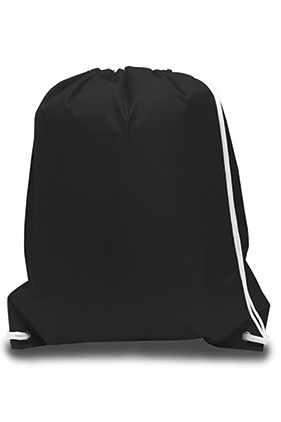 170 denier nylon sport pack with white cords. Black reinforced corners with matching black grommets. Approximate imprint/embroidery area: 10"x 10"